Arsenal’s latest signing Matteo Guendouzi has trained with his new team-mates for the first time today following his £7m move from Lorient. 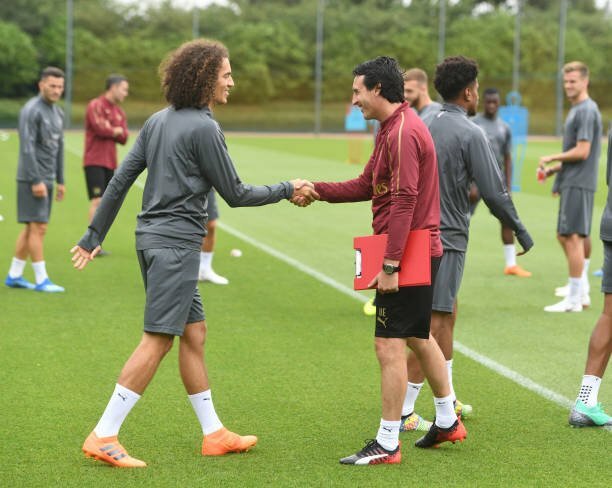 Guendouzi flew-in from France on Monday to wrap-up his move to the Emirates after he was identified by head of recruitment Sven Mislintat as a hot-prospect for the future. We faced stiff competition for his signature but boss Unai Emery reportedly phoned the 19-year-old to convince him to join Arsenal and he was swiftly undergoing his medical at London Colney. 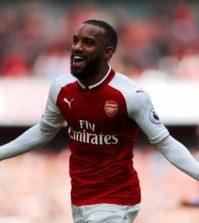 The club announced his arrival on Wednesday morning and while the precise fee hasn’t been disclosed, the Mirror claim Arsenal have paid Lorient around £7m for his signature. After completing his move, Guendouzi told Arsenal.com that it’s ‘incredible’ for him to have joined Arsenal as he’s supported the club since he was a child – which is great to hear as it’s always nice to have proper Arsenal fans representing the club. 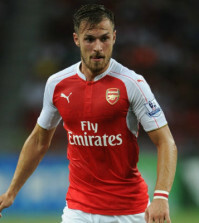 The teenager has got straight down to work as he trained with his new team-mates at London Colney today and he also did some individual work with the coaching staff away from the main group. 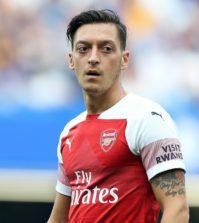 Guendouzi is a central midfielder so he’ll face plenty of competition for a starting place as he’ll be up against fellow new recruit Lucas Torreira as well as Granit Xhaka, Aaron Ramsey, Mohamed Elneny and Ainsley Maitland-Niles for a place in the team but Emery insists he’ll compete in the first team squad.